For voice conversation - your telephone system is an integral part of your establishment and is your main tool of communication. It is your primary link to your business partners, customers, suppliers, employees, colleagues, friends, and even family members. The KX-TEA308 and the KX-TES824 Advanced Hybrid PBX Systems can cost effectively support all your personal and business communication needs. The systems come pre-configured with 3 outside (CO) lines and 8 extensions. The KX-TES824 can easily be expanded with up to 8 outside (CO) lines and 24 extensions. Both systems provide features that can satisfy the demands of the most sophisticated and cost conscious users. You can even connect a variety of communication devices, such as cordless phones, answering machines, computer modems, credit card verifiers, fax machines, and any other device that works with conventional telephone lines. Packed with so many features - the Panasonic KXTEA308 and KX-TES824 are ideal for small businesses or home offices requiring a flexible system with a high degree of sophistication. 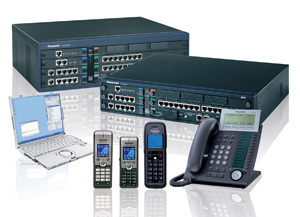 IP Server Based Telephone systems. The Panasonic Network Communication Platforms (KX-NCP) are advanced business communication solutions designed to enable companies to easily implement Unified Communications. The NCP platforms improves lines of communications - leveraging presence to enhance and streamline business communications with customers as well as work colleagues. 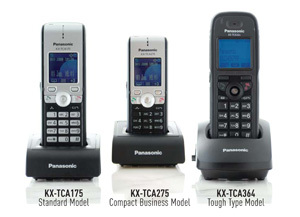 Panasonic IP-enabled KX-TDA15 and KX-TDA30 business telephony solutions combine traditional telecommunications together with IP technology - offering maximum feature and flexibility for small businesses to handle all office communication needs. Packed with a repertoire of advanced telephony solutions, the IP-enabled KX-TDA15 and TDA30 communication solutions bring a wide range of benefits to help solve your company's communication needs. Solutions - such as Wireless Mobility allows companies to enable employees the freedom to roam without worrying about missing important calls from potential customers, while the Voice Messaging solution can easily improve customer service and extend your business operational hours. Built-in call centre functionality can help businesses improve communication efficiency and allow you to serve customers more effectively. The IP-enabled KX-TDA15 and KX-TDA30 PBXs make it easy to distribute calls, manage agents handling calls, and controls office use of the phone system. 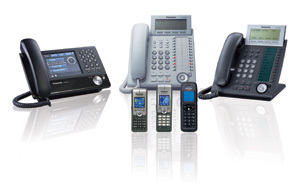 Digital / IP Telephone Systems. 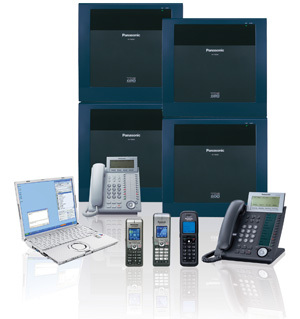 The Panasonic KX-TDE IP PBX series are advanced communications platforms for IP networking environments, supporting SIP connectivity for desktops and networks. The system support a range of advanced IP telephones, as well as the standard digital & analogue extensions, Digital and ISDN trunks. Couple this with a Business Application environment, and you have a system ready to take your business communication needs into the 21st Century, at your own pace. Panasonics KX-TDE600 Pure IP PBX system is an advanced convergence ready business telephony platform designed to leverage the most out of your IP Network. Targeting single or multi-site, medium to large businesses, this system supports connectivity for both network and desktop solutions. The KX-TDE600 system supports a range of intuitive and easy to use telephony terminals designed to enhance business productivity. In a world of ever changing technology, businesses need to be able to effectively communicate today - yet want to make sure that they are properly equipped to handle the growing demands of their future communication needs. 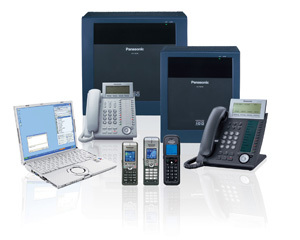 Panasonic provides a wide range of telephone terminals to suit all your business needs, including Digital, IP and DECT. All of which are compatible with Panasonic's range of solutions. 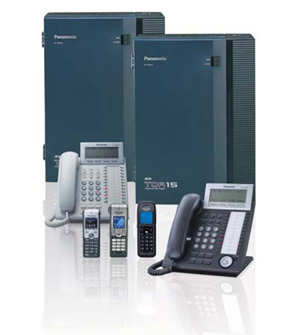 Panasonic presents the TVM50/200 unified voice message systems with PBX CTI software. 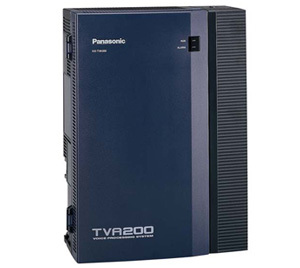 TVM50/200 not only answer calls from customers while your out or on the phone, they also can promptly e-mail you messages that customers leave to any location or meeting where e-mail can be used. And, when using CTI software (*1 Phone Assistant), messages callers leave while you're out can be easily opened, played, deleted or forwarded by e-mail on a PC, giving you a voice solution system that efficiently supports operations when you are out of the office. More and more businesses are moving away from just the traditional desktop working environment, as more employees go mobile - working on the move, from home, moving between various offices/branches or travelling anywhere around the globe. In such dynamic work environments it is essential that people in a business can effectively communicate easily - anytime, anywhere. Panasonic Communication Assistant Unified Communications (UC) productivity applications help businesses stay in touch with customers, suppliers and colleagues - wherever they may be, by streamlining business communication processes and allowing anytime, anywhere access to business communications. After salaries, overall communication costs are the largest single office expense. These costs are usually unmanaged, increasing and out of control. 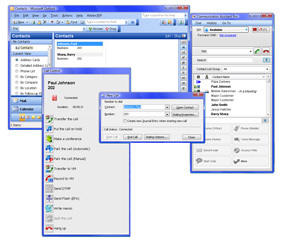 CommsOffice, from CommSoft, is a telephony management and reporting solution that gives companies the ability to track and control telephone usage throughout their organisation. Groups or agent activity can be measured with live ACD call statistics, helping you to make accurate decisions about requirements for your business. Have an important customer on the phone and need to walk away from your desk? Panasonic Wireless DECT connectivity is here to help. Panasonic PBX systems let you simply continue your current conversation over a lightweight, business smart wireless DECT telephone while you are away from your desk or moving around the office. Because the system is digital, the voice comes through loud and clear. Music & Marketing On Hold. 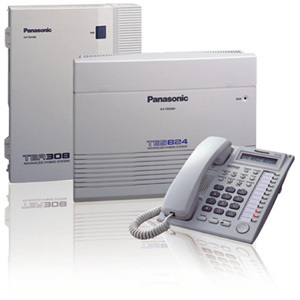 21 Plus Telecom supplies, installs & Maintains Panasonic, Samsung, Toshiba & NEC Business phone systems from our offices in Bolton across the whole of the north west of England, with many Existing customers based in Bolton, Wigan, Preston, Manchester, & most areas of Lancashire. From a small business telephone system up to a managed call centre let 21 Plus Telecom walk you through the telecoms minefield.